The Dodgers answered the bell last night. I’m not sure anyone was sure how they were going to respond after the time off, and with the Arizona Diamondbacks coming into town on fire, having beaten them the last umpteen times they’ve met. But the Dodgers got off the mat and showed for at least one night, they were ready to make a statement. Clayton Kershaw came out throwing 95 and 96 early on and struck out five hitters through two innings. 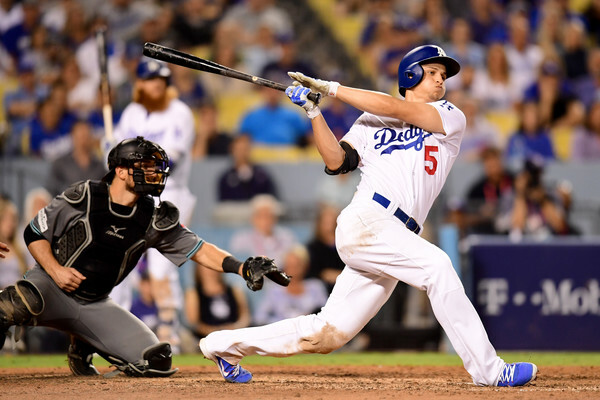 Justin Turner hit a big three-run home run in the first inning to put Los Angeles up 3-0 and before the frame was over, Yasiel Puig added a double to make it 4-0. Seager had three runs and a couple of RBI knocks on the night. Justin Turner drove in five runs on three hits. Puig doubled and tripled. Clayton Kershaw went 6 and 1/3, allowing four solo home runs; which is concerning. The Dodgers went Watson to to Morrow to Kenley Jansen to end the game; which is not that cool considering they had to bring Jansen out in a game that they just should have won comfortably. The Dodgers get Robbie Ray on Saturday night in a big one, and counter with Rich Hill.